Promote the ancient Japanese custom of hanami under the sakura trees when you post Cherry Blossom Circle Flyers before your spring festival. 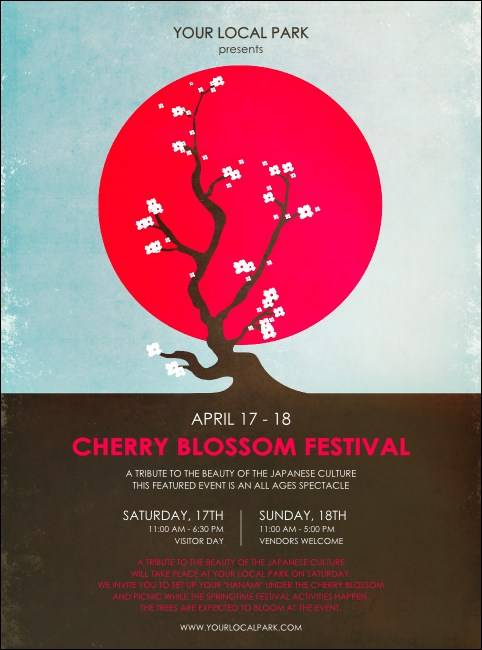 These Flyer templates are artfully designed to look like skillful paintings, and feature a bright red moon rising against a blue sky with a beautiful cherry tree blooming in the center. Enjoy the beauty of great promotions at TicketRiver.com.au.